Before you start to sew, you must learn to make a thread. Consider a sewing machine. 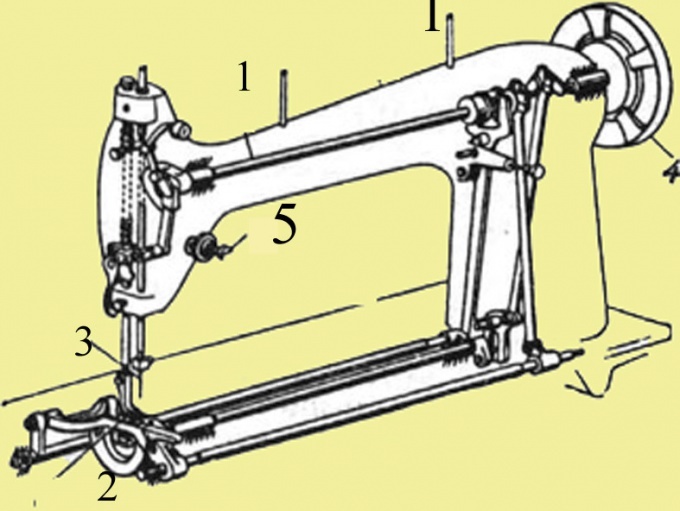 You will see that when sewing uses two threads — the upper and lower. If they are inserted incorrectly, the machine to sew or do not, or begin to tear the skin. Wind thread on a spool. The coil is put on the main rod at the top of the machine, and the spool on the second rod, which can be the top and on the bottom panel. Screw the thread end on the spool. Disconnect the fly-wheel cars, by turning the lever in the extreme position. Turn the handwheel until then, until the spool will not be as many threads as you need. Thread the upper thread. This is the strand that goes from the coil is pulled through multiple devices and is inserted into the eye of a needle. Before to fill it, lift the presser foot, put in its highest position the needle and lever nicaruagua. Put the coil on the rod, located at the top of the machine. 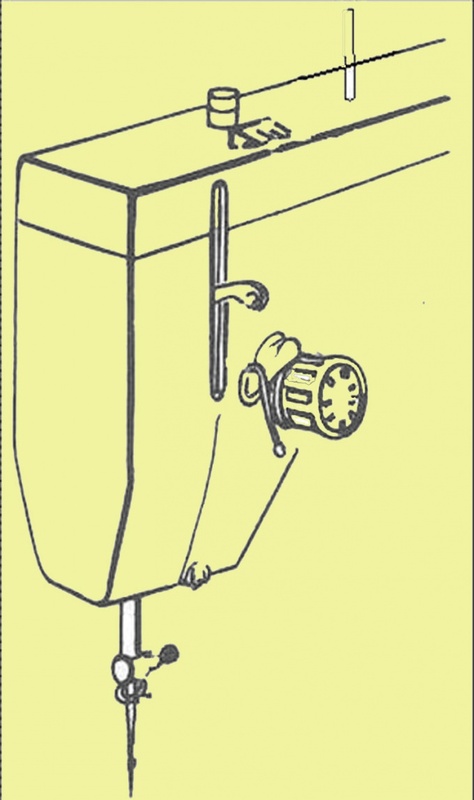 Pull the thread from the spool to the thread guide — the notch at the rear of the machine. Move it to the regulator tension of the upper thread. Guide the floss between the goals of the regulator around its bottom. Get it over the wire hook, which is located on one of the stationary washers of the regulator. Then point the thread to one hook, which is closer to nicaruagua. Zavedite it in this hook. This progena is called compensation. Start the thread in the hole of the thread take-up lever. Guide it through the yarn guides near the needle, and slide into the eye of a needle from the other side, which is a long groove. Insert the spool in the Shuttle so that the thread is pressed against the oblique plate special, came out with little effort. Insert the Shuttle in the Shuttle mechanism. To do this, fold the wing latch hook to lock and hold. Put the hook on the spindle that is inside the Shuttle mechanism. The mounting stud of the Shuttle enter the front of the plate. 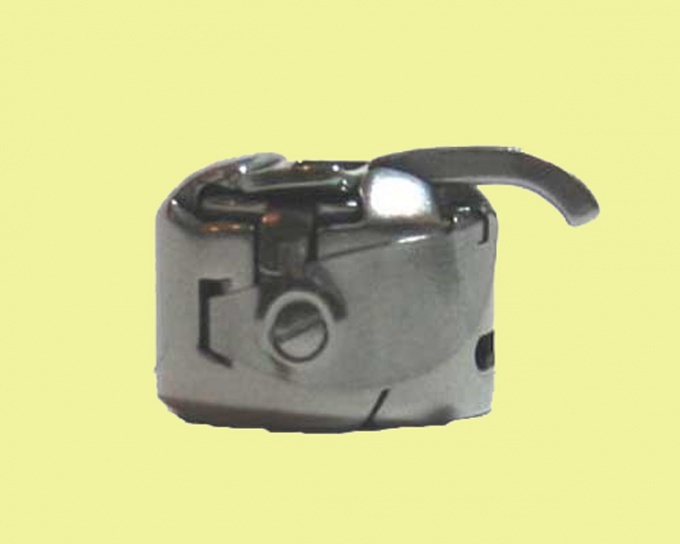 The wing release latch and simultaneously push the hook to snap into place. Hold the left hand end of the thread, which exits from the eye of a needle. With his right hand gently rotate the flywheel. The needle should fall into the hole of the needle plate, and then to go outside. While the upper thread should be a loop of lower thread. Pass the thread through thread guide a must, otherwise it will not be included in the Adjuster at the desired angle. Before sewing, adjust the needle thread tension. Tighten up the screw of the regulator tension of the top thread in one side or the other. 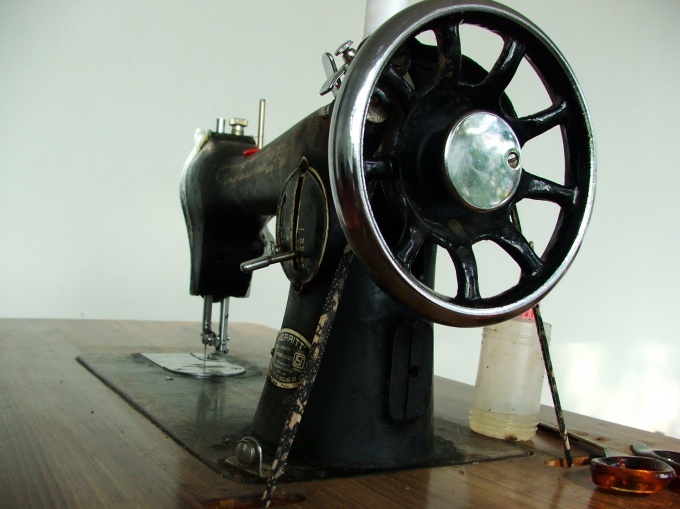 In order for everybody to be adjusted, we recommend that you first try to sew scraps of the same fabric as the product.